The cache is NOT at the coordinates above. This is not your regular type of cache. To complete this cache you will have to invest a lot of time and drive a lot of miles. The DeLorme Atlas is published for all 50 states. They are available at truck stops, travel plazas, your local discount store and directly from DeLorme. You do not have to buy a DeLorme Atlas to complete this cache, but it will help. The goal of this cache is to find or hide a cache in every section of the map. 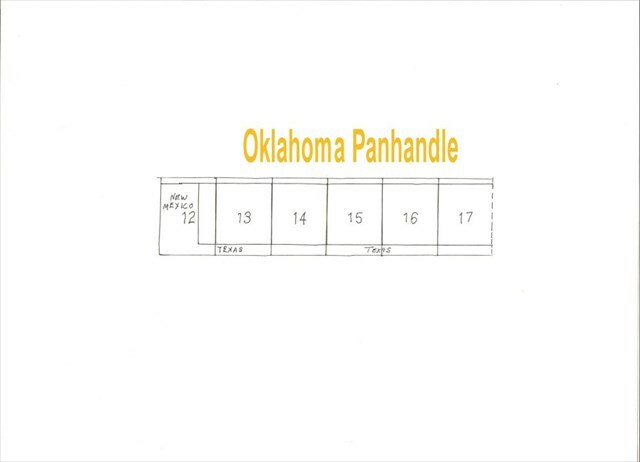 The Oklahoma map is divided into 59 sections. When you have completed the DeLorme Challenge by finding/hiding a cache in every section, send me a file containing all of your finds/hides (Loc or Gpx format) or a list with your geocaching name and the waypoints (GCXXXX) of your finds/hides. Once your finds/hides are verified I will send you the coordinates to the final cache. 1. 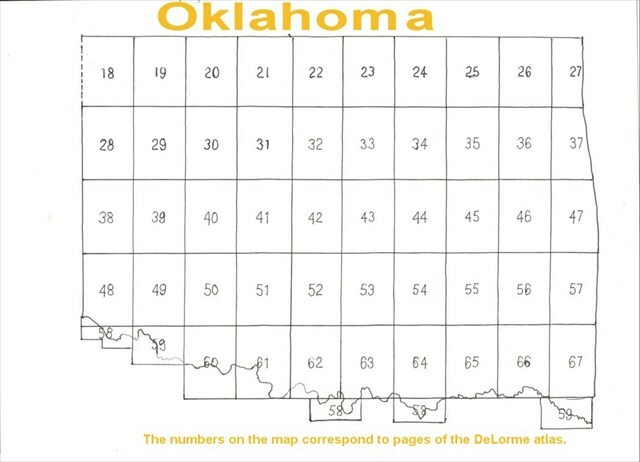 You MUST find or hide a cache in every section of the DeLorme map of Oklahoma. 2. Caches that you have already found or hidden count. 3. Cito, Event and Locationless caches DO NOT COUNT. NOTE: Section 59 is divided into 59 and 59 inset. 58 is divided into 58, 58 inset 2and 58 inset 3. 58 inset 1 is NOT counted due to it's small size, mostly in the Red River. You must find or hide a cache in each of these sections. Thanks to Okiebryan there is now a cache in section 58 inset 1. It's not required but it's there if you want to say you did them all. Fell free to post your progress along with pictures if you have them. GOOD LUCK. HAVE FUN. Congratulations to KsRenegade for being FTF!